Last summer, President Trump tweeted his intention to ban transgender civilians from serving in the armed forces. Later, he made a more formal announcement of the proposed ban. As a member of the gay community, I am horrified Trump would ban trans people who are willing to serve the country even though they still face societal discrimination. Every June marks Pride month, which started in 1968 as a protest against the persecution of the LGBTQ+ community at the Stonewall Inn in New York City. Countries stretching the planet have increasingly embraced gay and trans rights as fundamental human rights. Looking closely at the United States’ policies over the past hundred years, I find it negligent that a nation of “liberty and justice for all” could deny basic human rights to the gay community and people of color. Someone who is willing to serve the United States in combat should be honored for taking on a role most people wouldn’t choose, but the president didn’t take this seriously: instead, he would rather tweet away his grievances. What I would like to know is why did Trump blatantly disrespect their service? 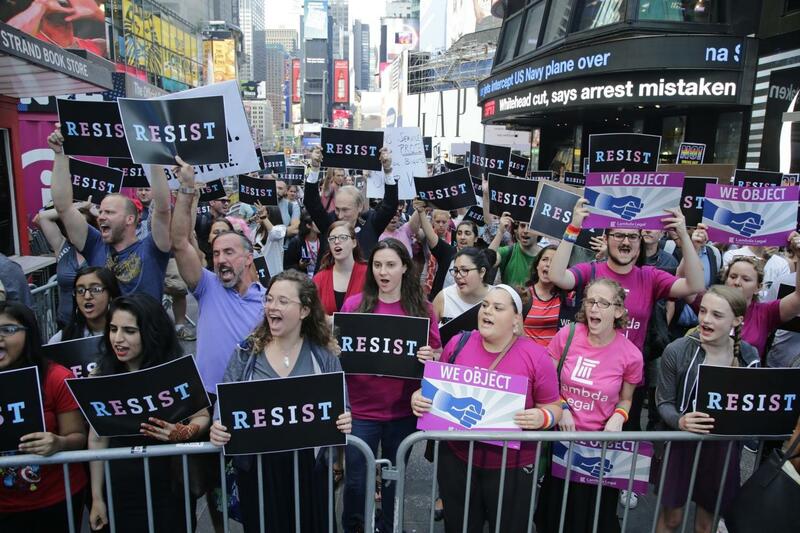 The transgender community has fought long and hard to get where it is in today’s society and its members contributions must be remembered by the American public. But no, Trump ignorantly sweeps it under the rug as if it’s not important. I would offer him a queer history lesson, but he wouldn’t listen as it doesn’t serve his mission of undoing progress. A leader banning certain people from the military sounds quite foolish. The excuse of “cutting costs” is – in language Trump understands – fake news. The Washington Post reported the military spends a whopping $41.6 million annually on Viagra, compared to the $8.4 million spent for medical care of transgender troops. Word of this ban has spread beyond U.S. borders and triggered action to further the advance of LGBTQ+ rights in wake of the decision. Shortly after the ban was announced, India’s Supreme Court expressed interest in removing Section 377, the law banning homosexuality, from its penal code. With the international community capitalizing on Trump’s misfortunate policies such as this, I think it points out the contradictions rooted deep within the United States and emphasizes the urgency to support a narrative of equality no matter what differences exist among people. Closer to home, Northgate LGBTQ+ advocates are outraged but adamant about fighting Trump’s decision. Collectively we’ve reached a point where we can look back and say progress has been made. With Trump’s proposed ban on transgender troops among his other archaic acts, it shows that we still have a long way to go as a country. Instead of sitting by, get active, do research, and stand up for what’s right, for humans’ sake.